Transform your business from unknown to unforgettable. The 360 Marketing Squad is the small business owner’s wish come true. 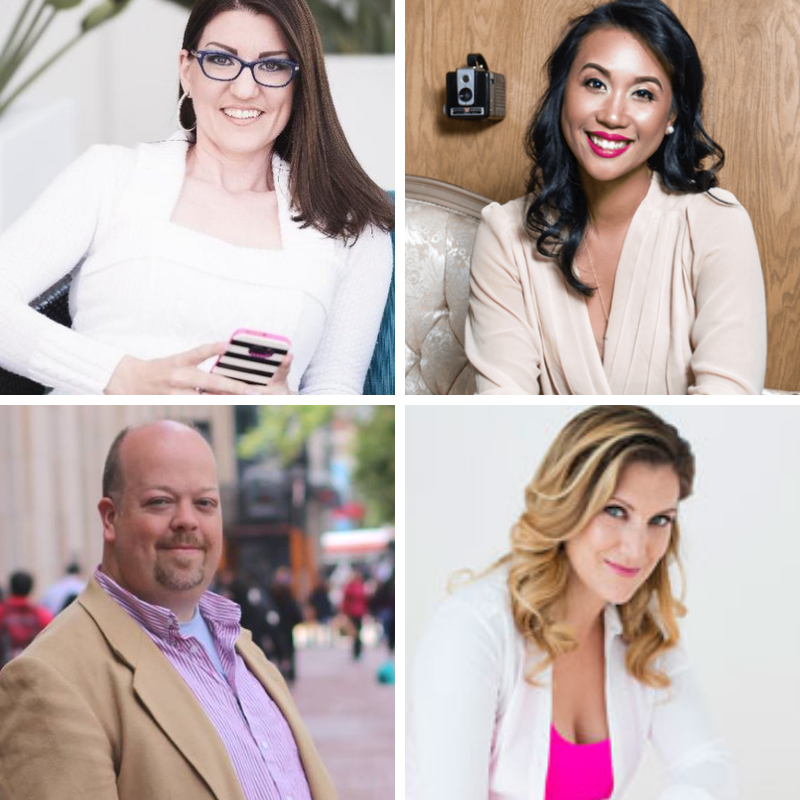 Imagine having direct access to four marketing experts so you can master social media and make positive strides for increasing your influence, income, and impact. Whether you want to master Instagram, get better results with Facebook ads, increase organic traffic, or captivate audiences with live video, you will find this mastermind invaluable. Steal-worthy templates you can use to promote your Facebook Live Show! Struggling with what to say to promote your live stream? What if you had fill-in-the-blank templates that tickles the brain and hooks viewers in? Get all the ultimate copy cheat sheets in the Swipe the Script Vault. Want a Facebook Live broadcast that stands out from the rest? With OBS Studio, you can easily brand your broadcast with bottom third graphics, invite guests via Skype and so much more. When you enroll, you'll immediately get access to 13 modules that show you step-by-step on how to set up OBS Studio for your Mac or PC. Once you've completed Unlock OBS Studio 101, it's time to take your Facebook Live to the next level. In this course, you'll have immediate access to 9 additional modules that teach you how to master the art of the green screen, screenshare presentations, and screencast your desktop.